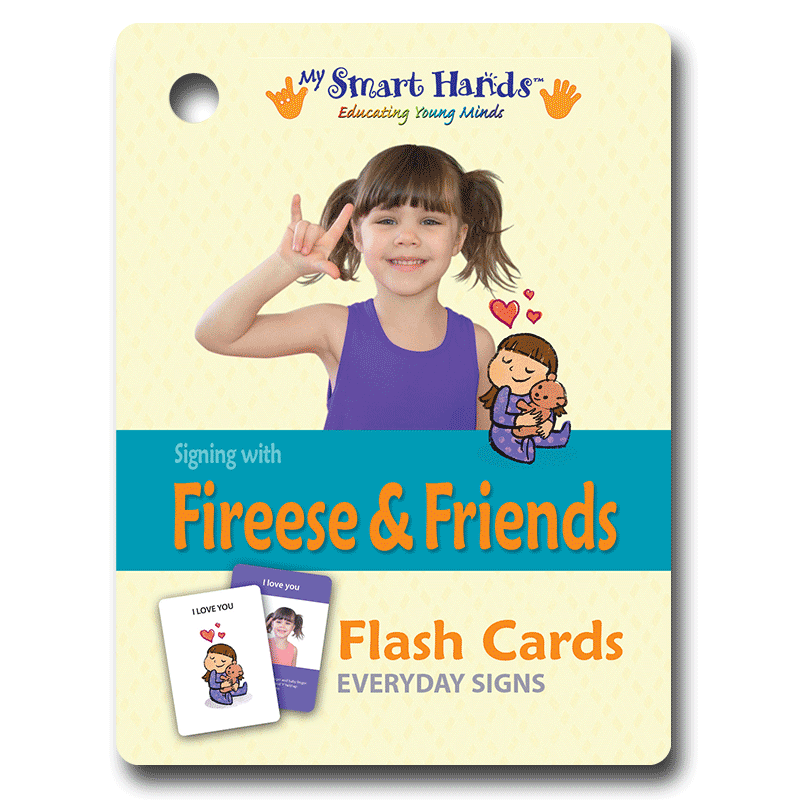 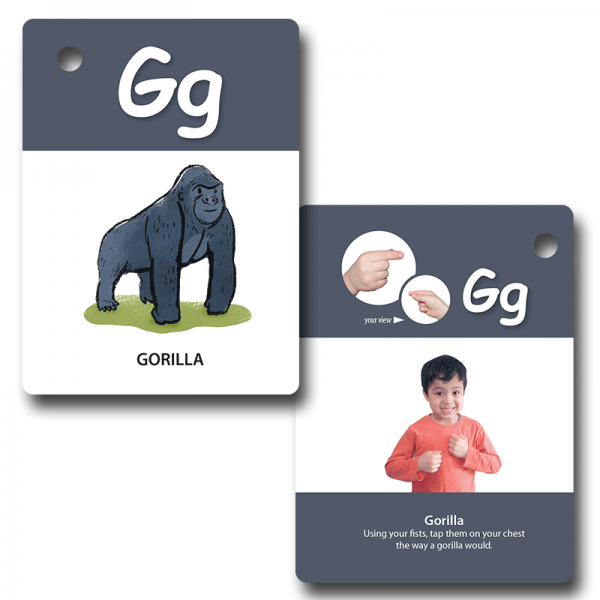 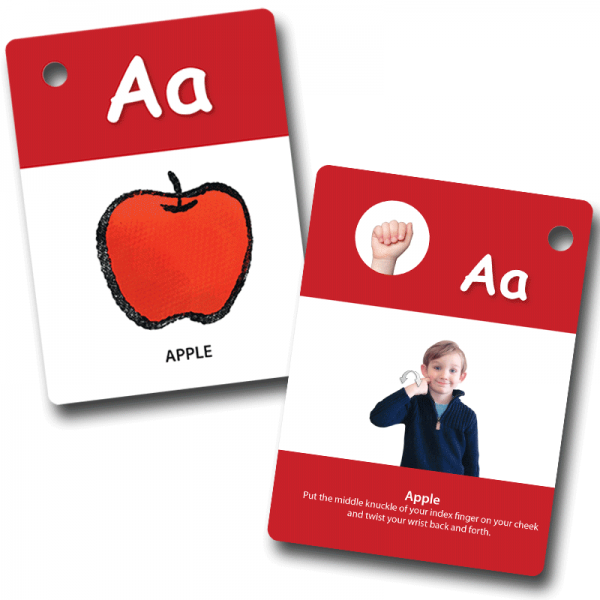 Our My Smart Hands Everyday Signs Flash Cards are a great learning tool to use with your child. 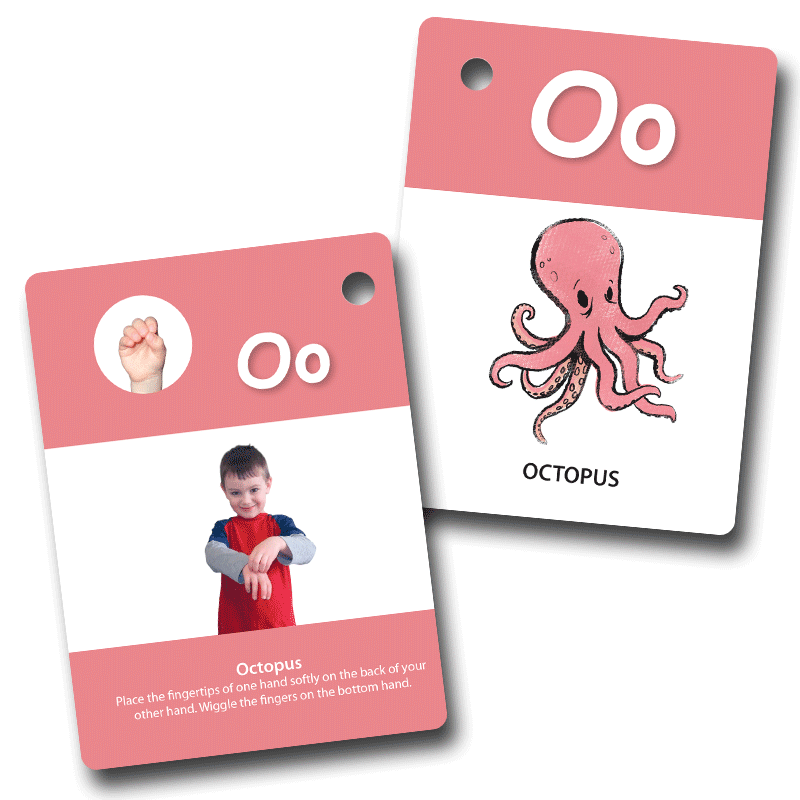 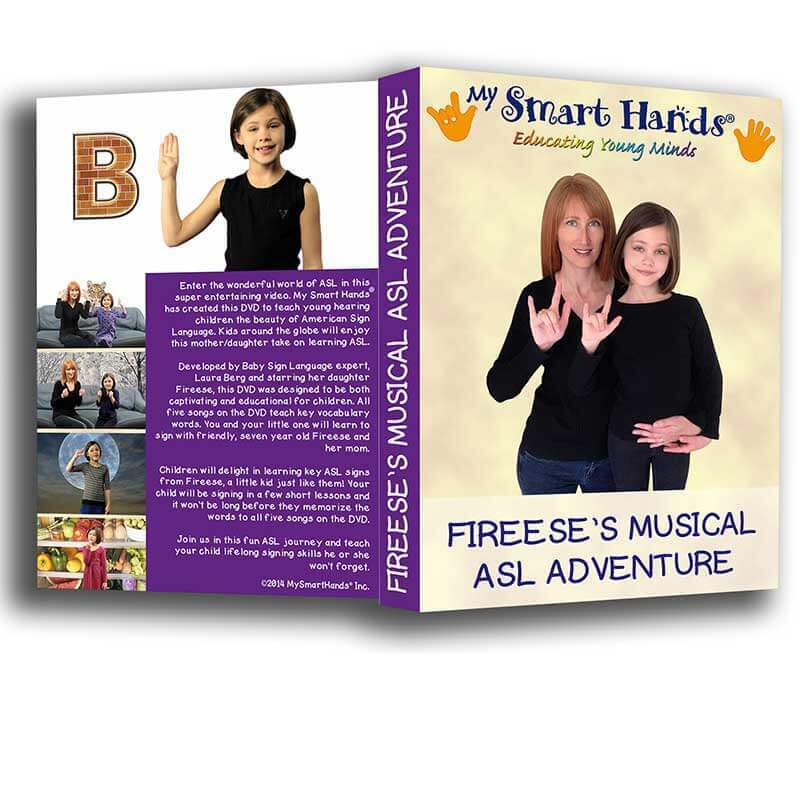 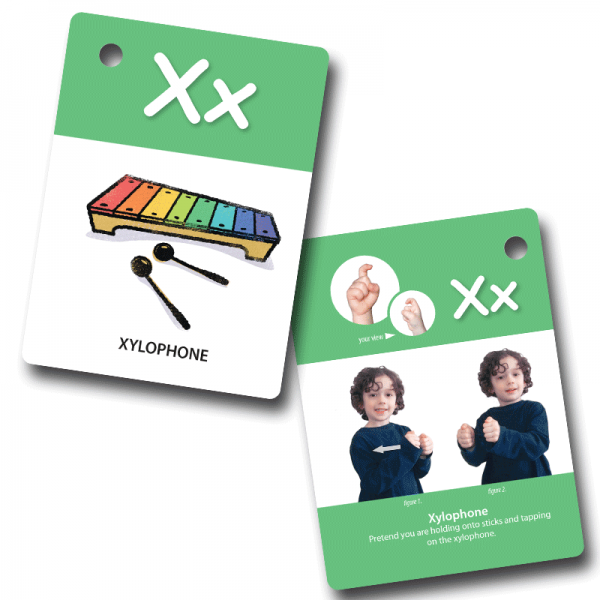 Parents and teachers not only use our cards for teaching sign language but so much more! 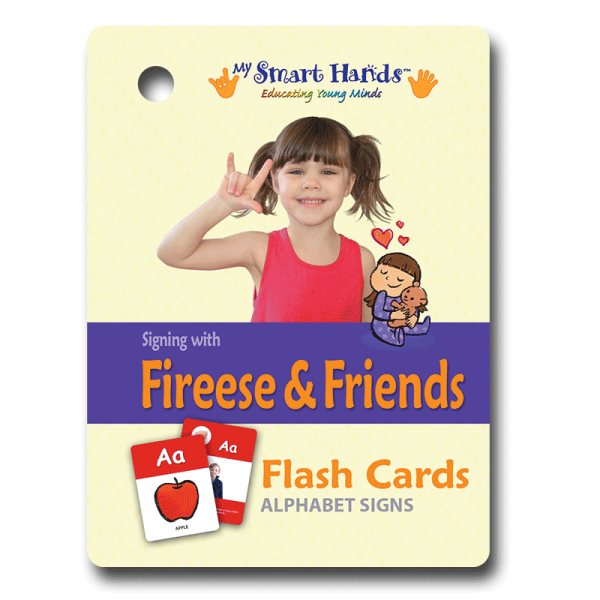 These card are fully laminated for durability and come with a detachable ring to attach the cards to a stroller, car seat, diaper bag etc. Each card has a different colour on it allowing you to teach your child colours as well as signs! 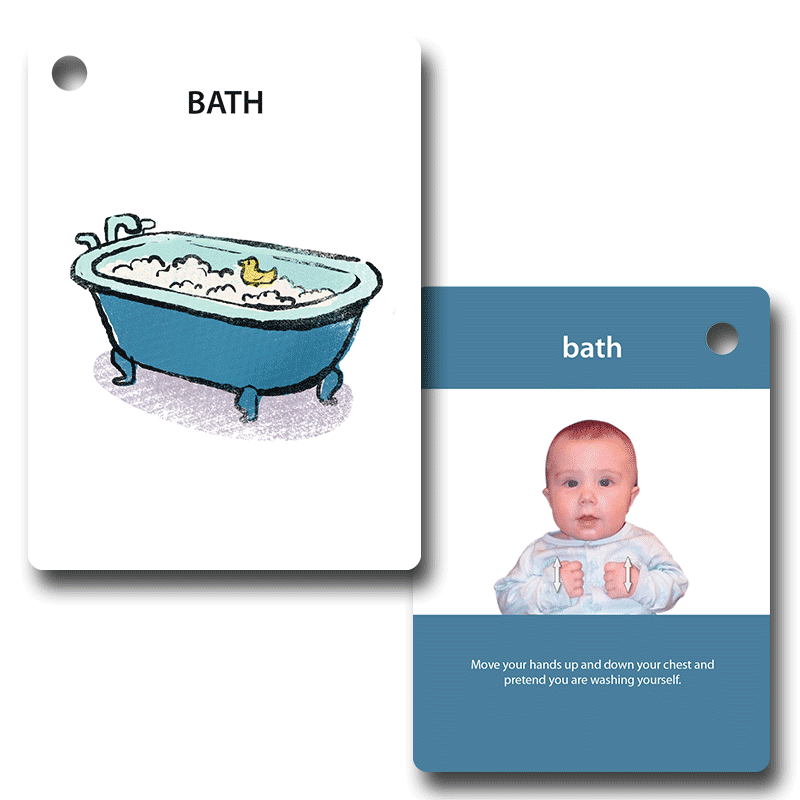 ball, banana, bath, bed, bird, book, boy, car, cat, cereal, cheese, cookie, cracker, daddy, dog, drink, eat, finished, fish, girl, help, I love you, milk, mommy, more, play, please, sleepy, thank you and water.